For Summer, McDonald’s are offering Any Size Frozen Drink for $1! 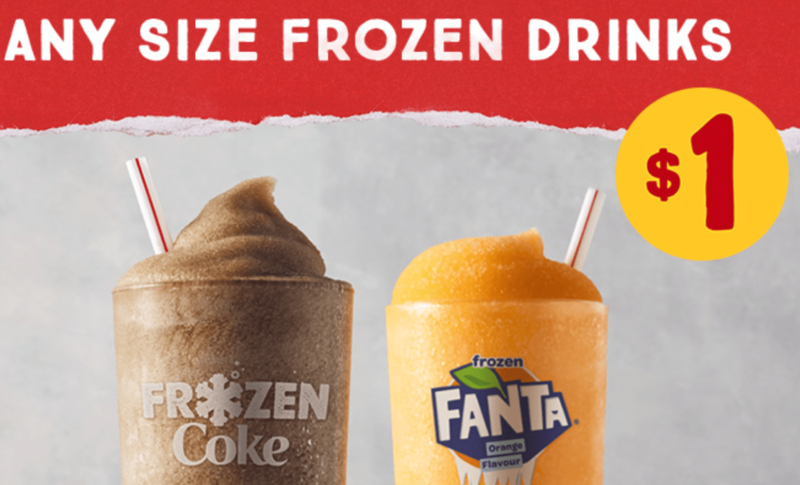 That means you can choose any size – small, medium or large – frozen drink currently available at Maccas. The two flavours currently available are Frozen Coke and Frozen Fanta Orange. You can choose to make it a McSpider, adding soft serve, for a dollar extra. Visit your closest Macca’s store to try them out. For a full list of Macca’s locations, click here. For more information on some of the latest McDonald’s offers, click on one of these links!